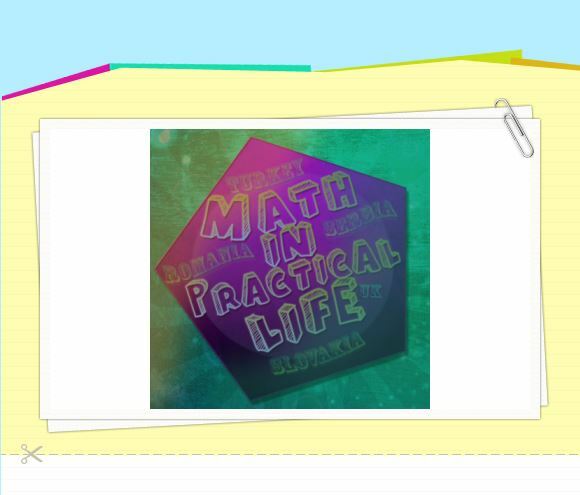 eTwinning PROJECT "MATH IN PRACTICAL LIFE"
The main idea of this project is to develop a love for mathematics and enable our students to access learning in different ways, to teach them how to use their knowledge in practical life. Exchanging experiences between our pupils will improve their mathematical knowledge and many other qualities as eg communication skills, learning foreign languages, computer skills and other subjects. Hence, their knowledge will be better and more lasting. We would like to show students an application of mathematics in practice, encourage them to find a connection between mathematics and the world around us and to train them to use their mathematical knowledge as an advantage in practical life. ​We will measure real values and calculate verbal tasks, trying to solve problems from everyday life using the mathematical knowledge. By making illustrations, videos, ebooks and other kind of presentations we will show our work. Teachers and students will exchange their experience.